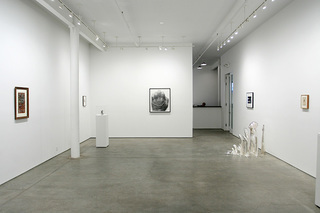 Established in 2001, the Bruce Silverstein Gallery’s principle focus is the representation of an international roster of contemporary artists as well as established artists of great influence. The gallery is committed to discovering, examining, and contextualizing known and unknown artworks by modern masters as well as innovative artists of today. The gallery strives to provide a venue for dialogue across all art forms, while specializing in modern and contemporary photography. As of January 1, 2017, Bruce Silverstein Gallery will be located at 529 West 20th Street in the heart of the Chelsea Art District. The gallery maintains an in-depth inventory of masterworks of the photographic medium and promotes long-standing relationships with museums, private collectors, art consultants and corporations from around the world. We welcome both experienced and new collectors. Formerly the primary location of Bruce Silverstein Gallery, 535 West 24th Street is currently closed.